New players only, max bet £5, 11 Fun Spins for registration (max withdrawal is £100), 100% up to £499 bonus + 100 Fun Spins on 1st deposit, 100% up to £499 bonus on 2nd deposit. 50x Wagering required. No max cachout on deposit offers. T&Cs apply. 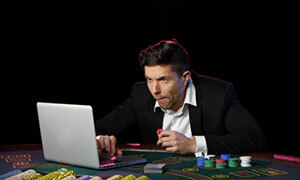 Gambling on the web should be all about entertaining yourself and having fun – those who fail at that should probably do best not to participate in such activities. The idea behind the launch of Fun Casino is just that – providing high levels of entertainment in a safe and fair environment where responsible gambling is actively promoted. Introduced in 2018, this is a new online casino whose selection of games poses as a mixture of the top-shelf creations of three of the world’s best software suppliers – Microgaming, Amatic Industries, NetEnt, and Just For The Win. The website features an array of exhilarating slots, video poker varieties, and staples like baccarat, roulette, and casino poker that are guaranteed to make you feel as if you are playing in an opulent landbased venue. A wealth of live dealer options by Evolution Gaming awaits those who join the lines of Fun Casino’s players. Being relatively new to the industry, Fun Casino has chosen to offer all of its available games in the instant-play format so that players have an instant access to the casino lobby and their favourite games. 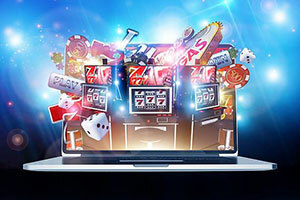 This is a modern casino and as such, it ensures cross-compatibility which basically means the games would run equally well across the majority of mobile and desktop devices. Brits are more than welcome to become part of Fun Casino’s community but the operator welcomes play from many other countries as well, which is why it accommodates international players by running its website in several other languages like German, Norwegian, and Swedish. It conducts payments in a variety of currencies, including your local GBP, and there is a healthy enough range of payment options so that anyone can top up their account and start playing shortly after registering. The operator’s brand name carries a reputation for great integrity and reliability, but this does not come as a surprise, especially when you check its licenses by the UK Gambling Commission and the Malta Gaming Authority. Online Since Fun Casino has been in operation since 2014. Minimum Deposit/Withdrawal Players at Fun Casino can deposit as little as £10 (or £30 via bank transfers). The minimum withdrawal amount is £20. 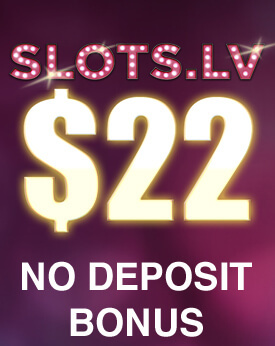 No-Deposit Bonus Players are awarded 11 free spins on select slots after signing up. 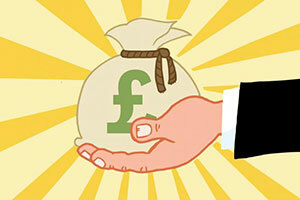 Free spins wins are capped at £100 but the minimum you can withdraw in profits is £40. 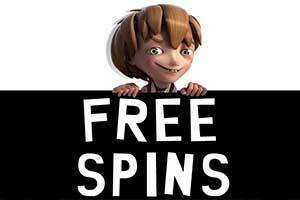 Each free spin has a value of £0.10. Wagering requirements of 50x must be met 24 hours after the free spins’ redemption. Welcome Bonus Fun Casino offers 100% Sign-Up Bonuses on new players’ first and second deposits worth up to £998 plus 100 Free Spins. The bonuses expire 30 days after their redemption. The minimum required deposit stands at £10. Wagering of 50x applies. Players from the UK, Germany, Canada, Austria, Finland, Norway, India, Switzerland, South Africa, Ireland, Sweden, and New Zealand are all eligible for participation. 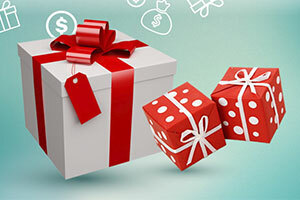 Regular Bonuses Existing customers at Fun Casino get to participate in slot challenges where they can qualify for a share from the prize pools. They are also eligible for up to 5 Refer-a-Friend Bonuses. No-Deposit Bonus Players are awarded a “fun point” for every £10 they wager. A point is deducted for every withdrawal of £10 and can be redeemed when your cash balance drops below £10. The exchange rate is 10 points for £1. Software The casino uses software by NetEnt, Microgaming, Amatic Industries, Just For The Win, and Evolution Gaming. Popular Jackpots The most popular jackpot games at Fun Casino include Mega Moolah, Mega Fortune, Arabian Nights, Hall of Gods, and Divine Fortune. Game Types The casino is home to over 450 slots, video poker variations, and table games like roulette, blackjack, baccarat, and Caribbean Stud Poker. Mobile Casino The mobile casino is available via instant play, enabling customers to choose from a vast selection of slots, tables games, live-dealer games, specialties, and video poker varieties. Popular games you can play on the go include Jumanji, Dream Catcher, Amazing Aztecs, Hotline, and Starburst. 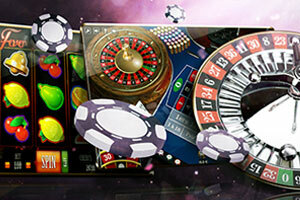 Live Casino Fun Casino offers a range of live games by Evolution Gaming. You can take on the professional dealers in a game of Immersive Roulette, Fun Blackjack, Lightning Roulette, Baccarat Squeeze, and Live Casino Hold’em. Deposit Methods Deposits are conducted via Visa, Mastercard, Trustly, Neteller, Skrill, ecoPayz, Bitcoin, Paysafecard, Klarna, Zimpler, Giropay, Interac Online, E-Pro, and bank transfers. Currencies Accounts can be registered in EUR, GBP, INR, USD, CHF, CAD, ZAR, SEK, NOK, and NZD. Languages The website is available in English, German, Finnish, and Swedish. Support Support can be reached 24/7 via live chat, email at support@funcasino.com or by calling +356 2034 1659. Licensing The casino operates under the licensing and regulations of the UK Gambling Commission (UKGC) and the Malta Gaming Authority (MGA). As previously noted, Fun Casino is home to over 450 slots and tables games, all of which are available in flash format on its website. This spares you the hassles of having to deal with bulky pieces of software that make the registration process seem like a utter nightmare and gives you the additional benefit of being able to make punts on your smartphone or tablet as you go. Usability is the primary advantage Fun Casino holds over its competition. The website’s design does appear a bit on the simplistic side but this only helps you find your way around with a greater ease. The menu with the games can be found directly under the casino’s main page banner which features a desert highway, much like those leading to the splendour of the neon-lit Sin City. All the games are grouped into categories so when you log into your account, you first pick a category and a game to load the lobby itself. 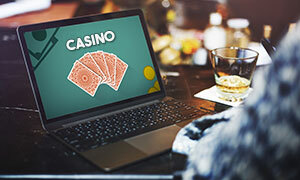 Fun Casino gives new players an incentive to try their luck by displaying the online aliases of all winners along with the amounts they have won. You can see the lucky winners for the day, week, or month at the left side of the lobby. Right above, you will find the search facility where you can type in the name of your favourite game for an instant access. Slots are in high demand in all online casinos and this one is not an exception, which is why here you will find them in hundreds. To make it more convenient, all the options for reel spinners are listed in alphabetical order in their respective categories. An entire section is reserved for the classics that play over a limited number of reels and paylines. Slot purists have a choice from over 50 classic slots at Fun Casino, with some of the most popular options being 108 Heroes Multiplier Fortunes, Break da Bank, Couch Potato, and Cash Splash. 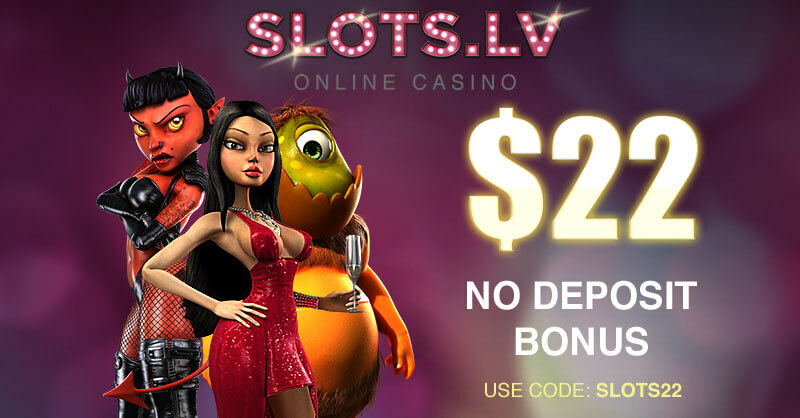 The Video Slots section is, however, far more diverse since there you can pick and choose from more than 270 premium titles, brought to you straight from the portfolios of giants like NetEnt and Microgaming. 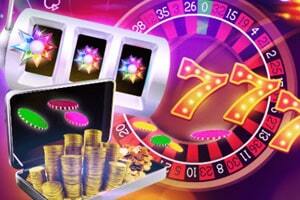 Fun Casino also gives you a chance to try some slot games that few other operators offer. We are talking about the slots developed by new supplier Just For The Win which has partnered with the veterans over at Microgaming. It is this partnership that enables Just For The Win to launch its new releases via Microgaming’s Quickfire platform reaching millions of players across the world. Some of the supplier’s slots we recommend you to check at Fun Casino are Deco Diamonds, Amazing Aztecs, and Lucky Links. Other than that, players at the casino commonly prefer to spin the reels of enticing slots like Jumanji, Hotline, Sakura Fruits, Starburst, and Admiral Nelson. If you are a roulette player, you will be more than delighted to hear Fun Casino caters to you with all the classic variants of this mainstay, which are to be found in the Table Games section. The games are courtesy of Swedish software supplier NetEnt which guarantees a memorable gaming session for all roulette players at the casino. 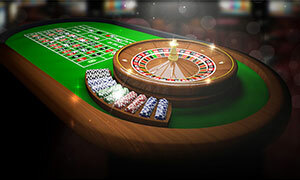 Fun Casino features some of the most widespread variants of the game like American, European and French Roulette. All single-zero games are offered in three different formats on the basis of their table limits. You can make punts for as little as £0.10 at the low-limit tables. Players from the medium and high betting spectra are recommended to go for the variations with minimum and maximum stakes of £5 and £500. We believe the limits are flexible enough for players from all walks of life. Being courtesy of NetEnt, the roulette variations at Fun Casino will floor you with state-of-the-art graphics and intuitive design that make it easier for you to bet even if you are a first-timer at the roulette tables. More experienced players will benefit from handy features like statistics on hot and cold numbers and history, which makes it possible for them to put some of their favourite progressive systems to the test. Blackjack players also have quite a few options at Fun Casino, most of which are provided by supplier NetEnt again, although one solitary variant of Microgaming’s European Blackjack Gold also made it on the list. If you are new to the game, we suggest you stick to NetEnt’s Blackjack Classic since it will help you master the main peculiarities of the game. Single-Deck Blackjack is also a viable alternative for rookie 21 players at Fun Casino. If you log out of your account, you can test the games for free with demo credits but if winning some money is what you have in mind, you can start with smaller bets of £1 or even £0.10 until you get the hang of it. You can play up to five hands at a time in some varieties. Double Exposure and Pontoon are also present in the portfolio in three variants, each with different limits. 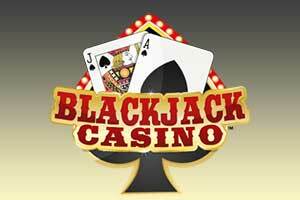 The biggest amount you can stake at the virtual blackjack tables at Fun Casino is £500 per hand. All blackjack variations on offer are part of NetEnt’s Professional Series of table games and hold a great appeal due to their enhanced graphics and improved playability. What we found particularly useful was the feature of NetEnt’s software that enables you to accept or decline insurance with a single click of the button when you are playing multiple hands. Video poker fans at Fun Casino can hardly grow bored with a choice of more than 20 variants of their favourite game. The collection is a mix of Microgaming and NetEnt creations so the least you can expect is seamless gameplay and in the case of NetEnt’s titles, improved graphics and original design. All the popular video poker varieties are present in this section of the casino, with players having a choice from games like Jacks or Better (full-pay), Deuces Wild, Tens or Better, Joker Wild, Double Joker Poker, Double Bonus Poker, Deuces & Joker, All American Poker, All Aces Poker, and Aces & Eights. All NetEnt varieties enable Fun Casino players to adjust the number of hands in play, with the option to play up to 25 hands at a time. If you are not satisfied with the amount you have won, you can try to double or quadruple it with the Double Up functionality. The games support different denominations and allow you to stake between one and five credits on every hand. Fun Casino makes it possible for players to become millionaires literally in an instant by playing some of its progressive games. You can find a thrilling selection of Microgaming and NetEnt progressive slots in the Jackpot section and have every reason to rejoice because the creations of those two suppliers are the ones awarding some of the biggest jackpots on the internet. Spinning the reels of Mega Moolah and Mega Moolah Isis can potentially lead to you becoming several millions richer since these games are connected to a wide area progressive network and respectively, the prizes grow not only from bets made at Fun Casino but from wagers across all operators using Microgaming’s software. The same pertains to some of the NetEnt jackpots you can win at Fun Casino, particularly to the ones awarded by slots like Mega Fortune, Hall of Gods, and Arabian Nights. The other progressive options for reel spinners at the casino are NetEnt’s Divine Fortune, Super Lucky Frog, and Cosmic Fortune. Since not everybody is keen on spending money on games of chance like slots, Fun Casino has also made sure to include one card game in its Jackpots category, namely NetEnt’s progressive version of Caribbean Stud Poker. The live-dealer suite that awaits you at Fun Casino runs on the stellar software platform of industry leader Evolution Gaming. The live-dealer lobby is just as well organised as that of the virtual casino so when you enter it, you will see the table limits displayed on the thumbnails of the available games. This assists you in finding tables that suit your budget instead of roving about the lobby and opening one game after another until you come across something you can afford. Another way to figure out the tables’ limits would be to log into your account, load the lobby, and hover your mouse cursor over the thumbnails of the games you are interested in – the software will display both the allowed minimum and maximum amounts per coup. It also features a built-in filter which allows you to hide full tables in the lobby. You can use the slider to select limits you are comfortable with so that only tables with these limits would appear in your live lobby. The biggest attraction of Fun Casino’s live dealer offering lies in the vast choice of tables you can make a pick from. Some of the options that enjoy immense popularity among Fun Casino’s clientele include Baccarat Control Squeeze, Fun Blackjack, Lightning Roulette, Immersive Roulette, and Casino Hold’em. Does Fun Casino offer assistance to its players around the clock? Yes, players who register at Fun Casino will benefit from a 24/7 customer service provided by a team of diligent and helpful individuals who will do their best to make you feel at home and experience a hassle-free stay on the website. There are three different avenues of contact with the support representatives, the fastest of which is the live chat. Assistance is also provided via email and over the telephone. Support is available in a total of five languages, namely Finnish, English, Norwegian, Swedish, and German. Are there any restrictions on which games I can play at Fun Casino? As a matter of fact, there are. Customers based in some jurisdictions like Canada will not be able to play games by supplier NetEnt. Brits and customers from the majority of the other accepted countries have nothing to worry about because they will be able to play games by all suppliers at the casino. When you register and sign in from your country of residence, the games you can play from this respective jurisdiction will be displayed in the lobby. Can I play for free at Fun Casino? Of course you can. Players at Fun Casino can first test the available games in practice mode where they will be using demo credits. The only exception is the live dealer section which are unavailable for free play. Keep in mind that free play is an option only for those who have not registered. Once you sign up and log into your account, your only option is to deposit and play for real money, though. Should my device meet any technical specifications? For the most part, no. Fun Casino is a modern gambling website that uses the latest state-of-the-art HTML5 technology. This renders its gaming library compatible with almost all devices you can think of. However, some of the available titles utilise the Flash technology which means players will need to have the Adobe Flash extension added to their browsers before they are able to load these games. The latter are playable in the browsers of desktop and mobile devices alike.